Experience typical London charm in the stunning surroundings of this magnificent grande dame hotel. 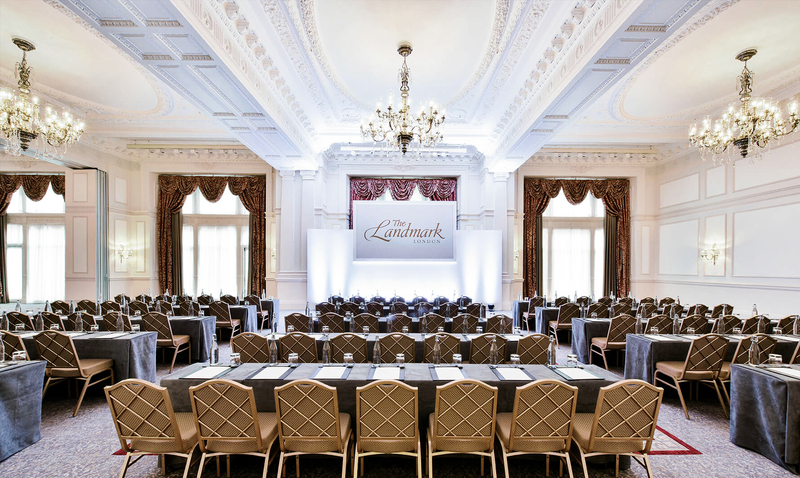 The Landmark London has 11 Suites to choose from including stunning Ballrooms, Drawing Rooms, The Champagne Room and The Tower Suite to name just a few. The beautiful and elegant Grand Ballroom provides an extensive area catering for up to 500 guests for an indoor team building event such as The Killing or Awakening the Dead. This venue is perfect for international delegates wanting to get a real taste of London Charm and elegance. Ideal for: Around the World, Awakening the Dead, Stocks in the City, Mixology, The Ultimate Team Build, Get in the Zone, Escape the Box, No Ordinary Quiz, Crystal Challenge, Murder Mysteries, Ipad Movie Making and much more!